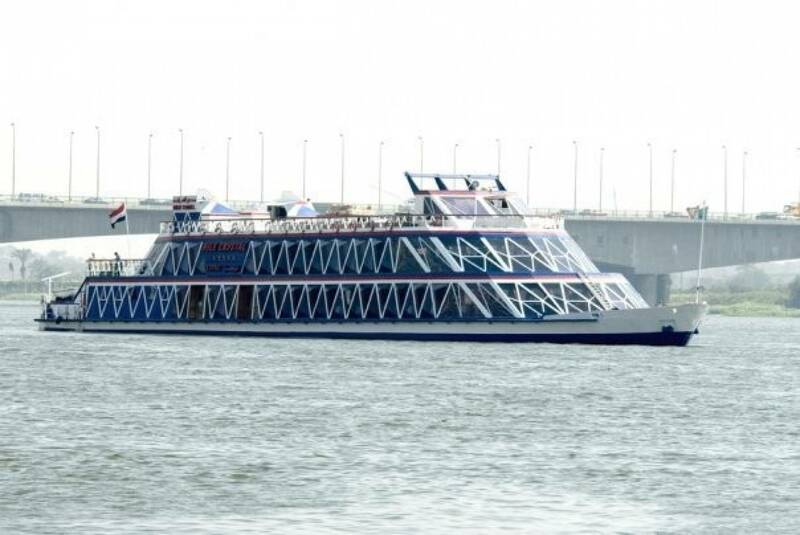 Navigate the Nile River’s gentle current with a 2-hour lunch cruise with hotel transfer. Escape Cairo’s busy streets and enjoy warm breezes as you sample Egyptian delicacies from an open buffet. Watch swaying palms and the city skyline drift by, spot traditional feluccas and fishing boats, and take in the sights from the water. When you return to port, simply meet your driver for the return trip to your hotel. Your driver will pick you up from your accommodation at 1:30pm to take you to the port. Embark your cruise ship and enjoy an open buffet lunch. Try different Egyptian specialties and enjoy the view of the city from the river. After the cruise your driver will wait for you at the port and take you back to your hotel.